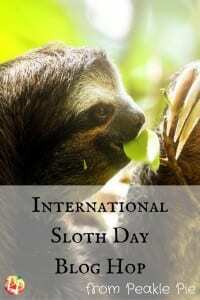 Did you know that October 20th is International Sloth Day? This day is the perfect time to break out the sloth crafts for preschool, especially if you are already tired of all things pumpkin! 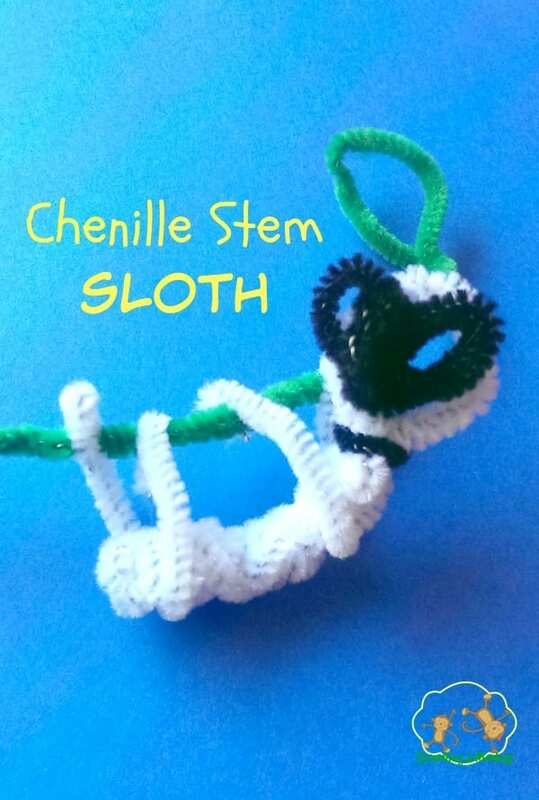 This year, Monkey, Bo and I decided to celebrate International Sloth Day early by making these chenille stem sloths! This project is super easy, mess-free, and perfect for all ages! Shape the sloth’s face by creating two small loops from the black chenille stem to make the eyes and a third, smaller loop for the snout. Leave a small trail of stem as shown in the photo so you can attach the face to the body later. Fold one white chenille step in half. Leave a loop at the top slightly larger than the sloth face you made previously. Twist the rest of the stem together except for the last 2-3 inches to create the body. Separate the two ends of the stem to make the bottom legs of the sloth. Curve the tips of the stem over to make the claws or hands so the sloth can attach to the branch later. 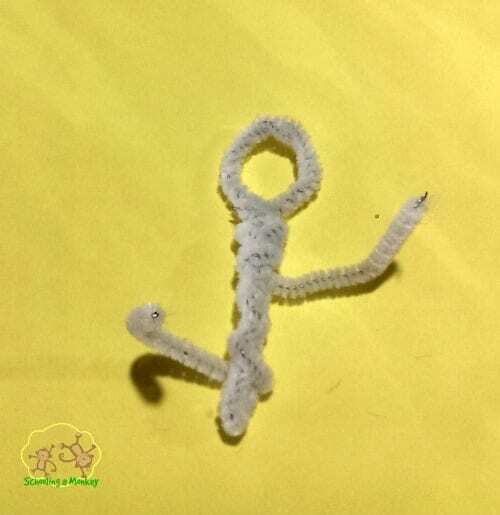 Use the last white chenille stem to create the front two legs and bulk up the body and head. We didn’t use any particular science or order here, we just wrapped the stem where we thought it looked like the sloth needed some extra weight. Fold the end of each leg over just like you did for the bottom legs. Place the face piece over the head loop. Use the remaining end of the face piece to wrap around the sloth’s neck and hold the face in place. 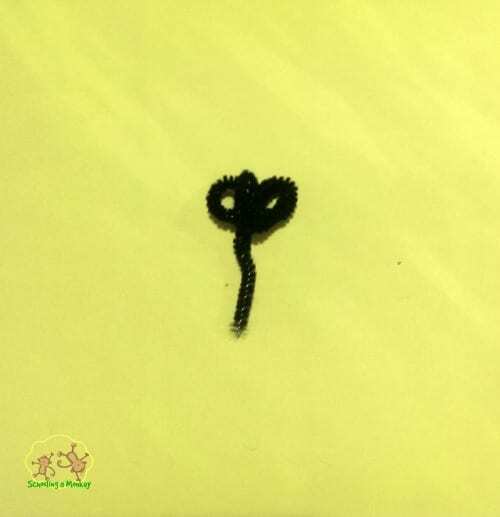 Twist the green chenille stem into a branch shape. We put a loop at the end of ours so we could hang our sloth. Wrap the sloth’s four claws around the branch and let it hang down like a real sloth. Now you can create a whole army of sloths of various sizes for a whole sloth colony. If you make any sloth crafts for preschool or any other age group, don’t forget to share your results on the Schooling a Monkey Facebook page! We love seeing what you make! « Are We Killing the Creativity of Our Kids?